At Airbnb we are constantly inspired by the work of makers in our global community, and we often partner with local artists and designers to create our own products. As part of Makers We Love, a series that highlights these talented individuals, we sat down with Noah Guy, designer and co-founder of San Francisco apparel and accessories brand Joshu + Vela. 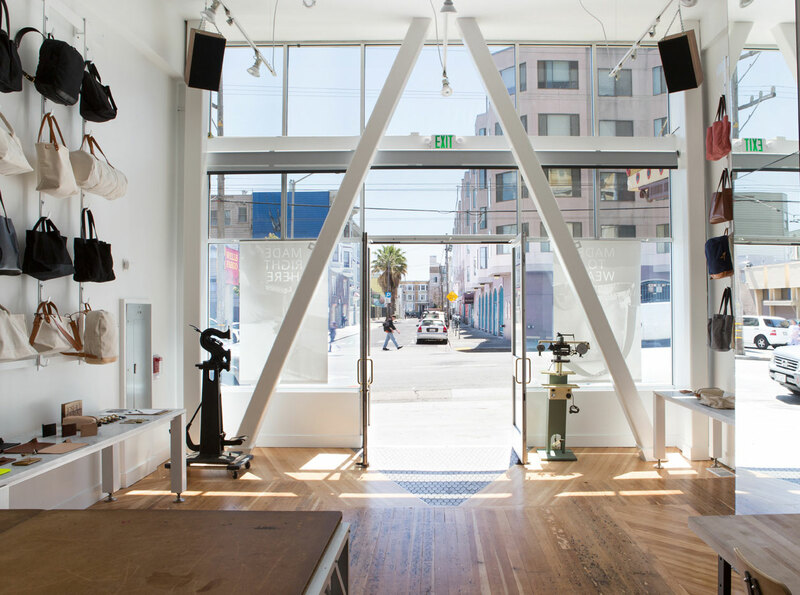 Located in San Francisco’s Mission district, Joshu + Vela Tradeshop is more than just a retail store. 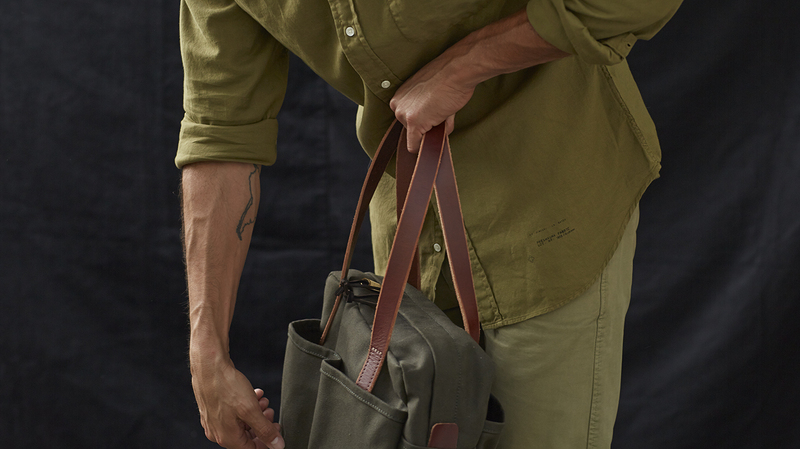 As a part of the growing maker movement, the brand is centered on considered consumption– the idea that every part of the finished product plays an important role, from fabric to finishing. 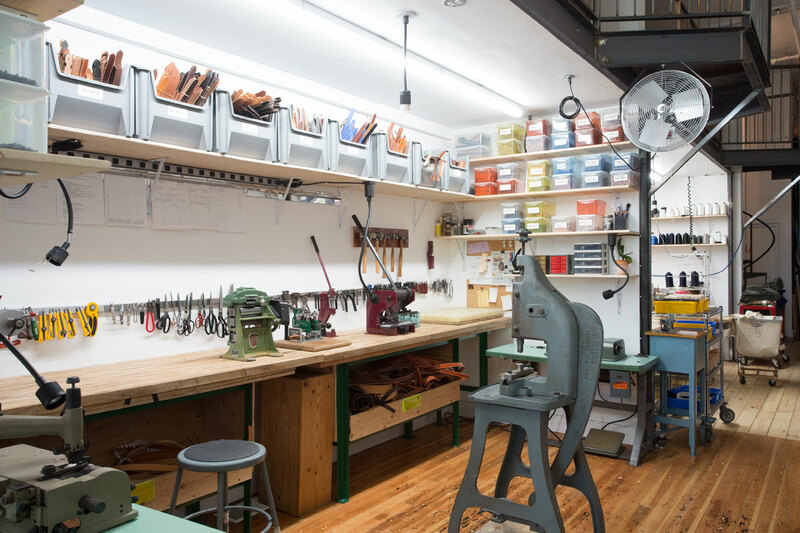 Joshu + Vela Tradeshop also serves as a studio and production space where Noah Guy and his team design and create each item by hand. The name, Joshu + Vela, was something Noah had already been kicking around for two years. He and a former design partner had settled on the combination of their middle names, both interesting and personal. “I’m Joshu,” he explains. “It’s Japanese. My mother used to follow a Zen Buddhist teacher named Joshu Roshi. He’s pretty amazing,” Noah adds of his namesake, famous for the Mount Baldy monastery where artist Leonard Cohen studied Buddhism. Noah now spends his days at the studio store, dreaming up new designs that highlight the raw beauty of the materials he favors and the craftsmanship of the hands that shape them. The cotton, leather, buckles and rivets in each Joshu + Vela piece feel as if they were made just for the finished product. That’s because of Noah’s guiding design philosophy, which focuses on each material as its own work of art. This materiality, and the importance the brand places on construction, are central to Joshu + Vela’s simple, but rich modern aesthetic. “When you design something you are using a material, and this material has, itself, been designed and constructed,” he says. “A lot of people think of fabric and leather as raw materials, but they are elements that have already been manufactured.” Focusing on what so many others overlook, Noah’s explains the nuanced stories behind each material component. “Before the fabric is even woven there’s the kind of cotton, how it was grown and spun and which yarns were chosen. It’s important.” All of this attention to detail shapes how Noah works with materials and approaches construction. Producing everything in-house means that Joshu + Vela also own and operate their own machinery. “It’s very rare amongst soft goods manufacturers,” Noah says. “Because of this, I am careful about how I design something. I want to make sure it’s smooth and easy for the person sewing it.” Using his knowledge of sewing and finishing techniques, his designs are not just about production, but how a piece holds up to everyday use. “If the person making it is really struggling because of a bad design decision you end up with a product that was struggled to be made, and it shows signs of that struggle.” Still, reducing struggle isn’t just about simplifying design. “I don’t mean minimalist like using the least amount of seams possible,” Noah explains. “It’s about adding only what is necessary for the end product; creating a balance between usability and clean construction.” A balance that Joshu + Vela’s designs embody beautifully. Like all creatives, Noah’s work is influenced by his environment; Like all environments, San Francisco is a living, breathing influence, constantly evolving with the artists who inhabit it. Joshu + Vela’s designs are not only inspired by Noah’s Bay Area home, but by his travels to other design centers. “The design community influences all of us. We all look to others for inspiration,” he says. “I go to New York once or twice a year. I also go to Los Angeles, but New York is really the center of the creative business scene. Just spending the day in lower Manhattan can be inspiring,” Noah says of visiting museums, window shopping and attending trade shows. “My guess is that if i lived in New York things would be more leather. To me, canvas has more of that San Francisco casual feel. San Francisco also influences Noah’s desire to work more with technical fabrics like nylon. “It’s outdoorsy. It feels like a west coast element,” he explains. Being located in San Francisco’s Mission District in particular plays a large role in Joshu + Vela’s designs and the brand’s mission. For those unfamiliar, this historically creative community has experienced significant growing pains throughout the city’s recent economic boom. Increasing costs have pushed many residents and small businesses out of the neighborhood and left many more struggling to reconcile the neighborhood’s cultural identity with ongoing gentrification. “A lot of people come by and think we’re just gentrifying the neighborhood, and to some degree we are,” Noah says. “I’ve put out some beautiful plants and we’re kind of “gentlizing” the street,” he adds, “but the bigger picture for me moving here was the square footage necessary for manufacturing. 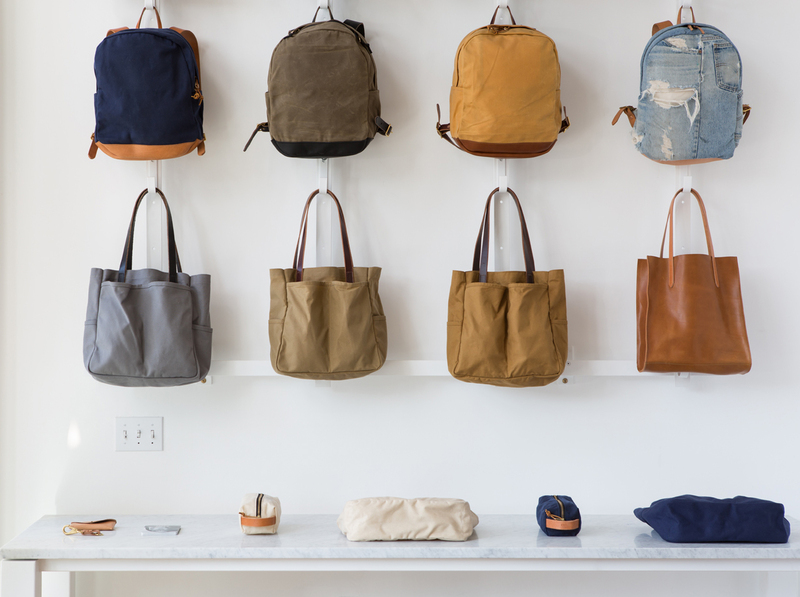 I want people to come in and to buy their bag, but also catch a glimpse of how it was made.” Being in the Mission reflects both the need for production space and Noah’s desire to tackle sustainability in a holistic way. But while sustainability and fair labor practices are important to Noah, he’s careful not to conflate those values with his business model. “ I didn’t want to spend so much energy focusing on it the way so many new social companies are doing. 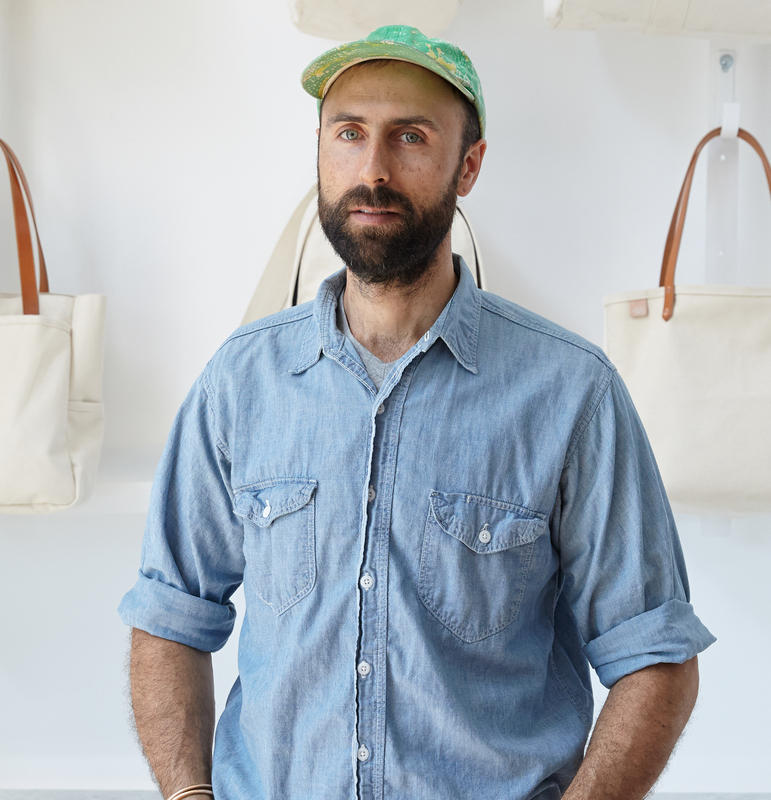 I didn’t want to have to, like, give one bag to get one bag,” he says, in a nod to many famous “socially conscious” apparel brands’ business models. “I didn’t want to have to ease people’s social consciousness. I want them to come in, see the production and make up their own minds.” In this way, Joshu + Vela highlights the pitfalls of global manufacturing by being an example of what considered design and fair labor can accomplish. “There has been so much negative disruption in the apparel and soft good industries. They have moved overseas, the working conditions are unknown, and there are accidents and fires. It’s gotten really bad,” he adds. “Recently there has been an uptick in the prevalence of ‘social’ companies, but they’re still using global manufacturing and just trying to add a layer of social sustainability on top. I don’t think that’s a sustainable model,” Noah explains. At Joshu + Vela the value of sustainability is brought back to basics. “Here is manufacturing,” Noah says, “Come see it. There is nothing hidden. We are building trust. We’re building it up from the ground up, here in the middle of the city. 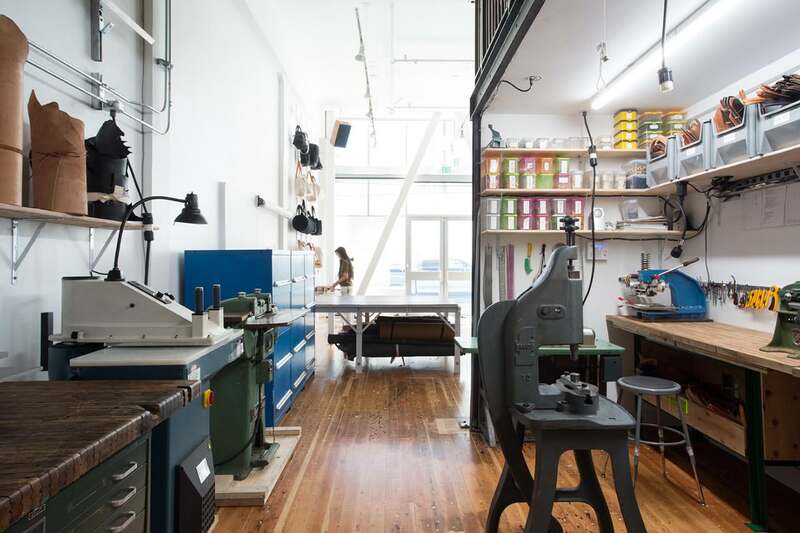 Come by and see things firsthand.” To see it for yourself, visit Joshu + Vela Tradeshop at 3042 16th St, San Francisco, CA 94103.